The average life span of a gi used by Ryron or Rener is 6-8 months. Over the years we've cultivated a small stack of gis that were once used by the Gracie Brothers but have since been retired due to excessive wear and tear. We've decided to make these gis available for purchase as memorabilia since they could easily be framed for display in a Gracie Garage or Certified Training Center and would make a great gift for a dedicated Gracie Jiu-Jitsu practitioner. Obviously, these collector's gi tops are very limited in supply and are available on a first-come, first-served basis. 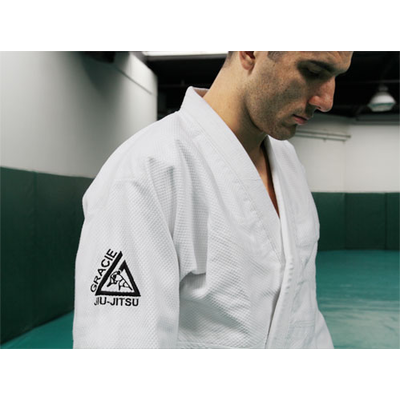 All collector's gi tops are signed by Ryron and Rener and can be personalized to the purchaser's specifications. Authentic Collector's Gracie Gi Tops has been added successfully to your wishlist. Note: The collector's gi top does not come with the pants or the belt. If you'd like the Gracies to personalize the autograph, simply leave a note during checkout of who you'd like them to sign it to. 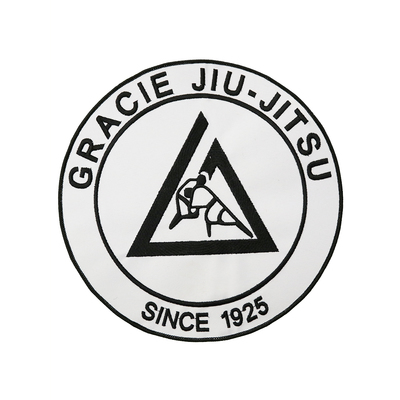 There are currently no reviews for Authentic Collector's Gracie Gi Tops, but you can be the first!